A great real estate virtual tour provides a rich, multimedia experience for the viewer, with interactive features and controls that help to create the feeling of actually being on the property or grounds. Background music is just one feature you can use to enhance 360 or still image virtual tours for your clients—but should you use it? There is no one right answer to this question. However, there are things you can consider to help you decide when to include music, and the best types of music to use in your virtual tours. This is the most important consideration when it comes to deciding on whether to include music in your virtual tours. Make sure you talk to your clients, whether they’re real estate agents or business owners, and find out how they feel about it. Clients may have a certain type of music they’d like to use. They may feel strongly about not including music. They might not have a preference at all, in which case, you should use your best judgment. Some people expect music with a virtual tour. Others may find it annoying or distracting—whether they don’t like the type of music, or they simply prefer none at all. You won’t be able to please everyone. But in most cases a well-selected background music track can enhance the virtual tour experience, and only a few people will object. 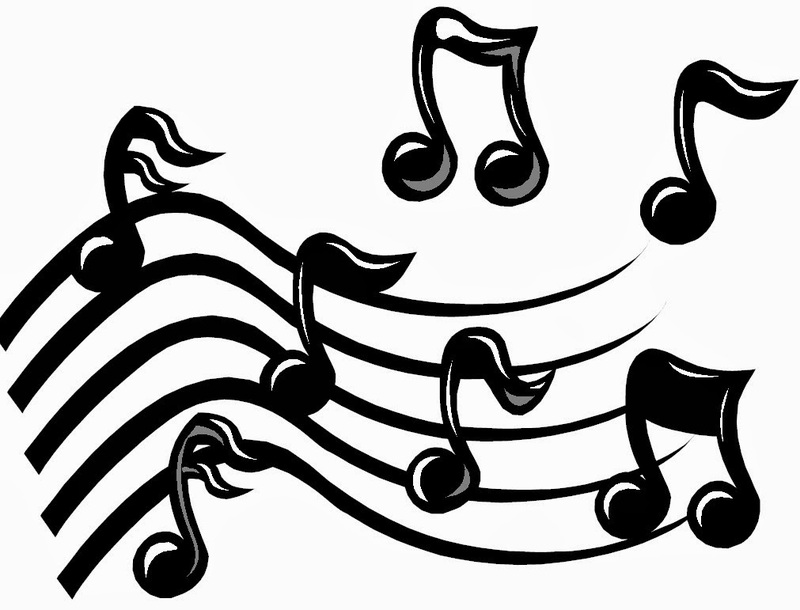 Instrumental music is best for virtual tours, since vocals really are distracting. You should avoid gloomy or dark-sounding music. Choose a track that is cheerful and upbeat—but not cheesy and over-the-top. If it’s something you might hear in an elevator, it’s probably not a good choice for a virtual tour. Pairing background music with narration is a great choice for any virtual tour. 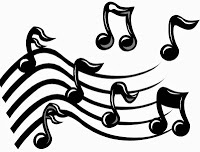 Music can enhance narrative, and also fill in any pauses to avoid jarring transitions. I never had enough time for my passion because of my real job, “Tire Expert”; Yes, I said Tires, ROUND & BLACK with a HOLE in the middle. I had been doing this since the early 70’s. Short Bio: Schooled in Engineering and photographed Weddings for several years. With that background, I qualified for Michelin’s technical department as a photographer in the Product Liability Department. I had my own lab, studio, several Nikons. There was a radiology section as part of my studio also. Michelin gave me the title of Forensic Photographer. I traveled around the country photographing car crash sites, damaged vehicles in the junkyard and analyzed the tire damage. Putting together all the information I gathered gave the company a clearer picture of what led up to the accident. Okay, back to my passion. I left the tire business and decided to pursue virtual tours and real estate photography. A friend mentioned ‘real estate photography’; that is when I did some research and analyzed my options. RTV virtual tour software company was the one I chose because I felt it offered the best A to Z training in areas other than photography, social media packages, and access to assistance. RTV, hands down has the best virtual tour system in the industry. They schooled us on the virtual tour business side being just as important as the photography. I joined RTV September 2013, with one tour track shoot completed the following week I underwent surgery for a total knee replacement. I plan to be out another 3-4 weeks then look forward to getting back to business as usual. This is the short form of following my passion. I’ll be setting up my next blog to speak more about ROI and my Dallas virtual tour company. Should you have any questions, I would be happy to answer them. Google+ has announced on Google’s Official Blog, in December 2012 that Google+ has passed 500 million registered users, 235 million of which are active across other Google’s properties like YouTube, Google Search and Google’s app store. The updated Global Web Index from January 2013 shows this network as the 2nd largest in the world with 343 million active monthly users. These facts confirm the platform isn’t the failure or ghost town experts predicted, but a powerful media businesses you can’t ignore any longer. Do you have a virtual tour business….or any business for that matter? Read on! Let’s see how you can grow your business and expand your influence using Google+. The basic approach to promoting your virtual tour business and expanding your visibility is creating a Google+ Business Page that stands out from others. Set up a page with a strong and simple tagline, provide all important information for readers to be able to get to know you better, and turn on your visibility to public. Customize your business page to make it more appealing so you will be able to connect with your readers on a more personal level. With Google+’s new bigger cover photos you can better express the image of your brand and make a solid first impression. This large visual branding opportunity offers great advantages for companies. They can now upload their photos and impressive designs that showcase their newest products, share information about their business, their physical locations, or advertise their upcoming events, in a primary eye-catching position. If you have a good graphic designer on your side the possibilities are immense! You should directly connect your business Google+ page with your official virtual tour company website. This way your readers can easily follow you without leaving your site. The link is made with the Google+ badge. Use the configuration tool to select the style that best fits your web design, and when active a Follow widget will show up in the search results together with your most recent status update and your time stamp data. To establish your virtual tour business as a true source of quality and authoritative content for your particular industry in front of searchers who come across your Google+ page you should make sure your posts are always up-to-date. Hashtags are words or phrases preceded by the # symbol that people can search to find conversations on a particular topic.Using hashtags in your Google+ updates will bring your virtual tour business additional exposure beyond your network of followers, since now they are displayed next to every update. You can easily select the most appropriate to your update topic from the list of suggested hashtags by Google+. Google+ Hangouts give businesses a unique opportunity to communicate directly to their readers, current and future clients in a video format. You can only have up to 10 active participants, but if you want a greater audience you can live-stream the video on YouTube, or add it to your official channel to boost your content.You can use this feature for absolutely anything, – to make interviews, have private meetings, panel discussions, for customer support, live screen-sharing webinars, etc. There are many different communities already available on Google+, but you can also create your own using your profile or business page. Communities help expand your reach further. If you are worried about spam, you should relax because Google won’t allow anything go public without an approval from the page moderator. For greater control you can have your community set as private, but that would actually defeat the purpose of expanding your influence online. With Google+ Local your business information, photos, reviews and additional information are displayed directly in the search results. For local businesses this is a great promotion opportunity. Customers can grade your business and leave reviews on your Google+ page, even if it isn’t active.And the social network will become even greater resource for local with the expansion of Google+ mobile apps for Android and iOS. To claim your local business go to Create a Page and select Local Business and Places. When you enter your phone number Google+ will scan their network to see if there’s a business page to connect you to, or ask you to create a new one. Google+ is definitely the best source for managing your brand at local level. Guide to Google Local. What about you? 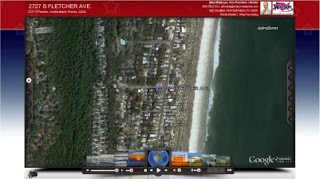 What do you think are Google+’ best features to help you grow your virtual tour business? Over half of all Americans own a smartphone, 34% own a tablet, and Neomobile predicts that by 2017, two-thirds of the world’s mobile data traffic will be video. This presents you virtual tour company owners with a huge opportunity to start taking advantage of mobile video platforms like Instagram and Vine. 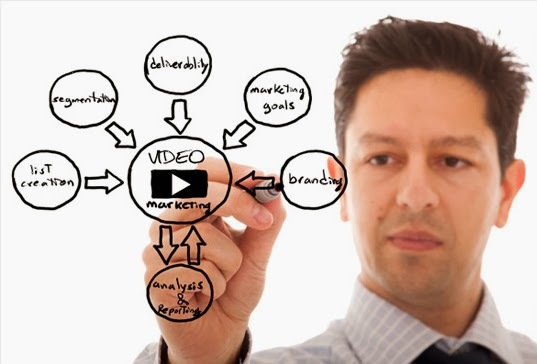 So how can you start implementing video marketing into your virtual tour company marketing strategy? You should follow the tips suggested below. As with all content marketing, you want to promote your virtual tour company, but you also want to provide your customers and potential customers with something that will be genuinely helpful or interesting to them. There are some advantages to the short time constraints. One advantage is that you’re able to create suspenseful teasers that will build up excitement about an upcoming contest, product launch, or any other “big announcement” that you want your virtual tour customers to be excited about. People love entering contests! Host a contest asking your followers to show you how they use your product, or offer a video testimonial contest among your very best customers. People love going “behind the scenes.” It makes them feel as though they’re getting an exclusive inside look into the secret world behind a business or brand. Think about creating a “Behind the Scenes” video of you processing images, building a virtual tour, or even showing your customers how you virtual tour company evaluates each shoot. Tip #6: Just Get Creative! Try out Instagram or Vine! These amazing sites constrain you to 15 seconds or less to send your message forcing you to be creative. Think outside of the advertising box and brainstorm different, unique ways to showcase your virtual tour products and professional photography services. Create a story, not a commercial. Above all have fun RTV! RTV virtual tour software and hosting company now offers 720p HD video during virtual tour playback! This means your full motion videos and AstroZooms will look even better while being displayed in a high resolution widescreen format. Due to this change in our system, the AstroZoom service charge has been increased to the new base rate of $9.99 per video production order. This is to help pay for the additional storage that the high definition videos will use and of course the longer video processing time. As always we deliver the best products and virtual tour experience to everyone who is involved with us here at RTV. Thank you for your continued support!